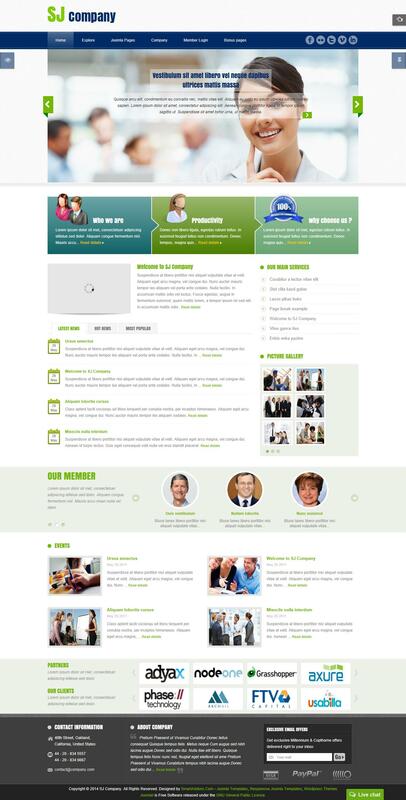 SJ Company - stylish business template with a full range of adaptive functions of developers SmartAddons. This template contains 4 preset style (green, dark green, orange and yellow) as well as a built-in panel Cpanel, which allows to easily change any of the parameters of the template. In the assembly includes the best expansion studio: SJ News Extra Slider, SJ Gallery, SJ Module Tabs and SJ Basic News, which provides a flexible and intuitive presentation of information on the site. Corporate framework YT Framework is responsible for quick work site code optimization and support all browsers. SJ Company is perfect for creating websites cards or corporate projects.